$19.95 In stock. Order in the next 19 hours, 46 minutes and it will go out today! Wonder Donut gives a new appeal to sponge ball magic. 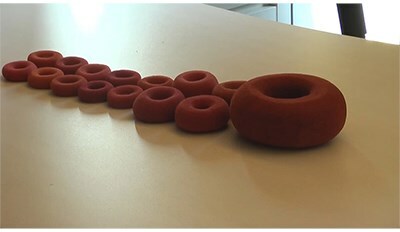 Splitting, vanishing and multiplying donuts makes for a lot of fun. Importantly, it is an object that people can relate to. NOTE: Ropes and wands are not included.